After an eight month hiatus from my monthly Ebay reports (I can’t believe it’s that long to be honest), I’m bringing it back for 2019 with a great selection of items that popped up in January. 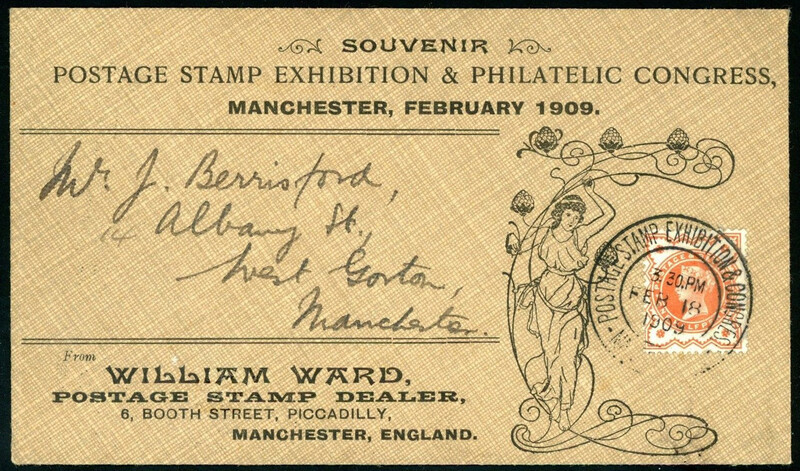 First up is this beautiful printed envelope from stamp dealer William Ward advertising the 1909 Manchester “Postage Stamp Exhibition & Philatelic Congress” franked with a ½d vermilion and tied by the special cancellation. I don’t know how rare it is but underbid it up to £116 because it such an extremely attractive late usage. Those that are familiar with my Ebay reports will have seen my reports on Cricket Ground cancellations that have come up over the years, which nearly always sell for more than £1’000. 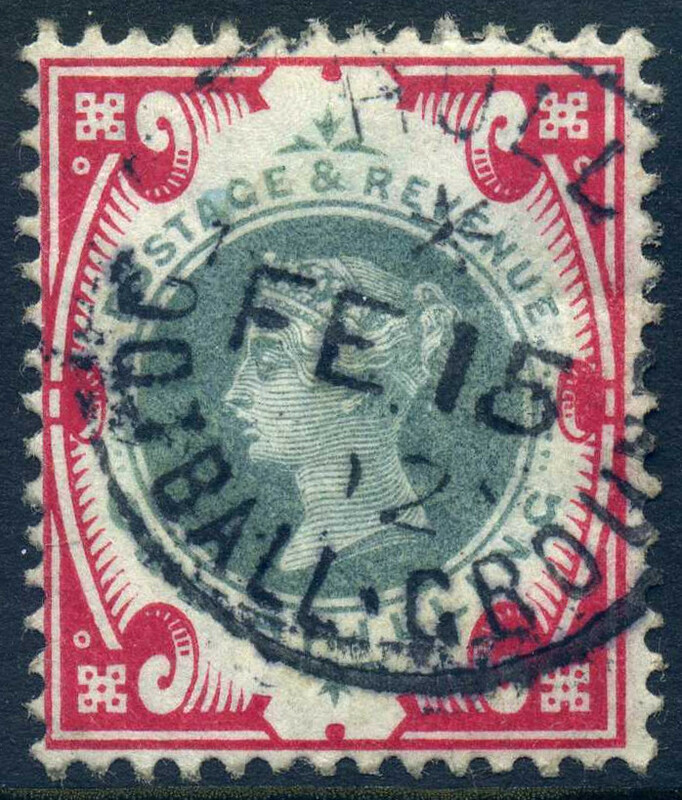 So I was quite excited to see this example of a 1s green & carmine with a “HULL / FOOTBALL GROUND” cds. So I was rather excited to pick it up for £78! Here’s to hoping it get’s a good BPA certificate. 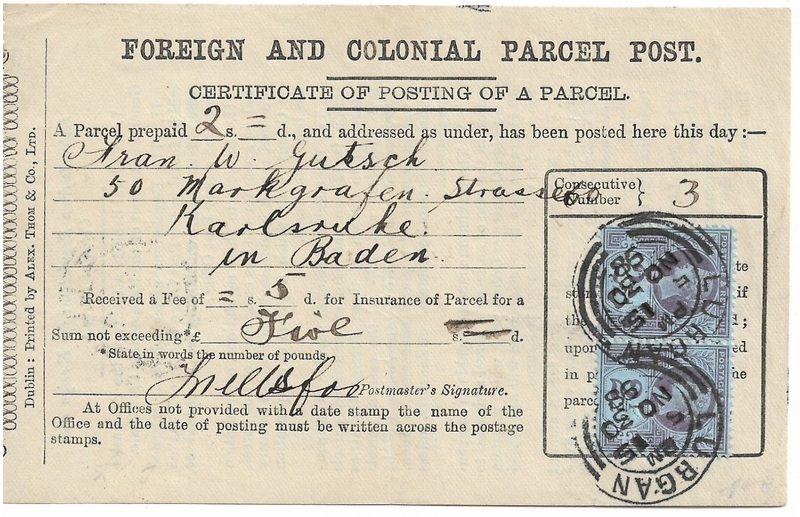 This Foreign and Colonial Parcel Post labels are reasonably scarce and not at all expensive. This attractive example is from Lurgan in Ireland and deserved to fetch more than £35. 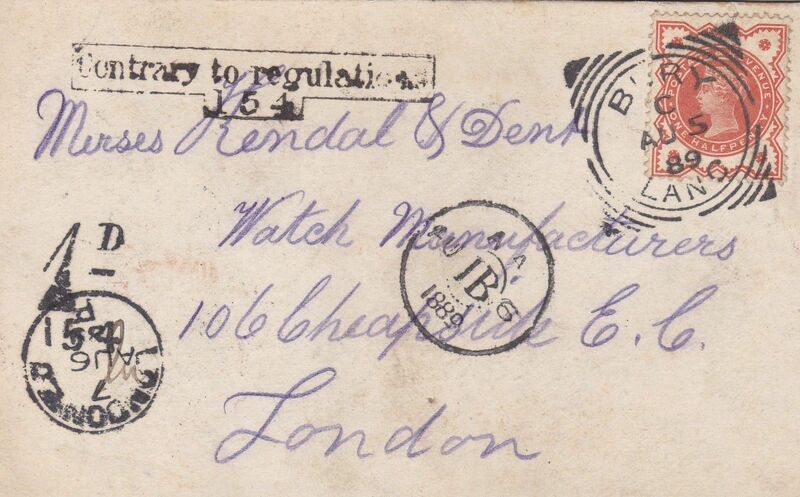 This unusual postcard has been stamped with the “Contrary to regulations / 154” handstamp and charged 1d due. Thanks goes to Maurice Buxton for pointing out my error in my original post. I had presumed it was taxed because the card was too thick, and the Post Office had regulations on the size of the postcards permitted. I completely missed the fact that this was sent more than 5 years before postcards were allowed to be franked with a stamp. So an absolute snip at £25.05. 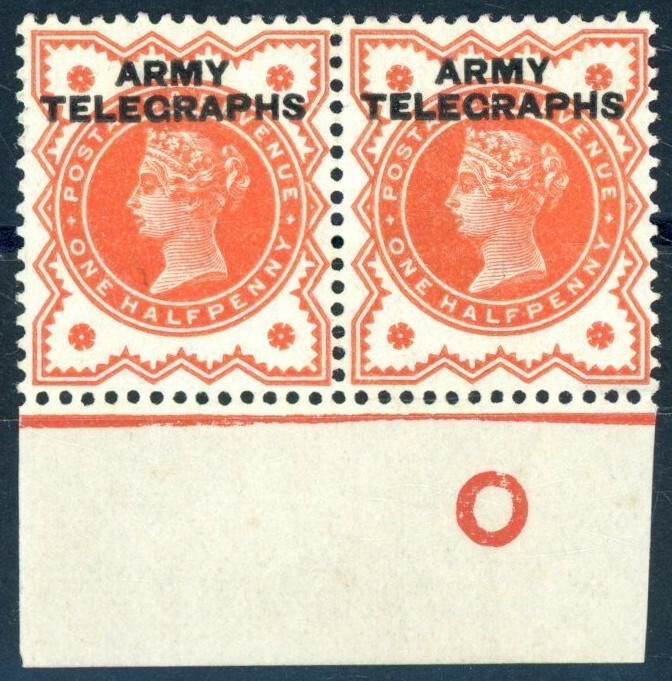 And another topic I have featured quite often on my blog is the Army Telegraphs overprint on the Jubilees, and the control strips that have come up in auction over the last few years. The strips of three have sold upwards of £800 in auction. This pair sold for only £138.89. Absolute steal.